Terminus Analytics provides consulting solutions to a diverse set of participants in the fixed income and debt capital markets arena including corporations, governmental entities, non-profits, and investment banks. Our platform offers tailored transaction and project based structuring analytics, project feasibility review, and economic and market based analysis. 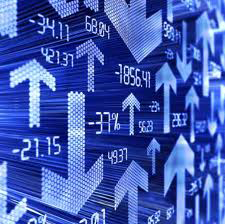 Our in-house modeling capabilities and software resources allows us to handle routine financial forecasts and structuring matters to more complex transactions regarding advanced refundings, derivatives, verification reporting, arbitrage-rebate matters, fair value measurements, and tax abatement and economic impact assessments. 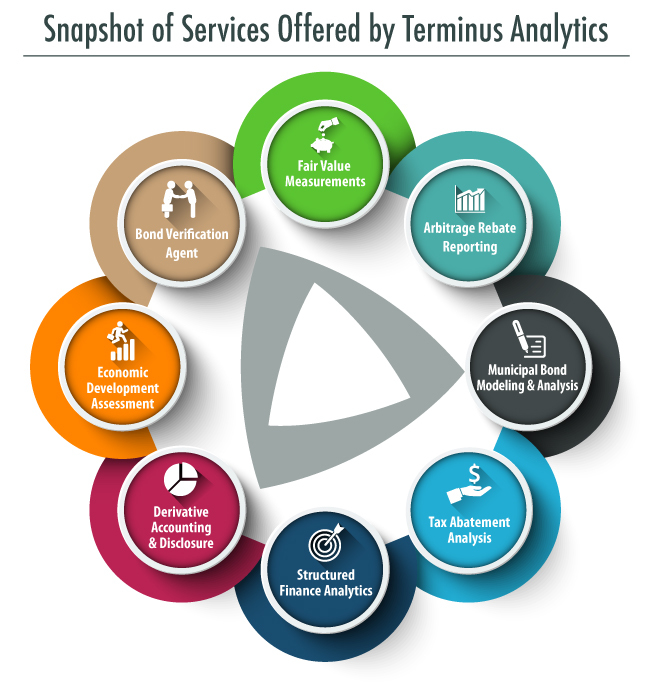 Since inception, Terminus’ reputation and success was and continues to be built on a strong record of service to our clients. A significant part of that record reflects our commitment and emphasis on providing value-added solutions. As a result, we have continually enhanced our investment in Terminus Analytics to support the quantitative business activities throughout our corporate platform. The commitment goes beyond words and is clearly reflected in both quality of our professionals and state of the art software we utilize to achieve our results. Our professional base includes graduate level proficiency in finance, economics, accounting and derivatives.